A Montreal-born filmmaker is spearheading a campaign to raise thousands for the seven now-orphaned children of one of the subjects of her latest documentary set in Africa. Anjali Nayar’s “Gun Runners” follows the stories of two men: Robert Matanda and Julius Arile. Former cattle rustlers in the Kenyan bush, the men trade in their AK-47s as part of a government-run amnesty program. In exchange, they receive a pair of running shoes and training to become long-distance runners. The film, which took a decade to complete, had its world premiere last month at Toronto’s Hot Docs Festival, but what would normally be an exciting time has instead been fraught with sadness for Nayar and her team. Following a screening of the film in early April in Nairobi, Matanda, his wife Stella, and four-year-old daughter Anjali (named after Nayar) were returning to their home in northern Kenya when the small bus they were travelling in was hit head-on by a truck. Robert and Stella died instantly. Anjali survived the crash. 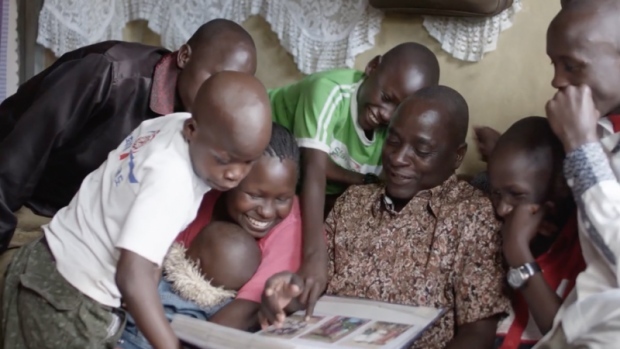 There are seven Matanda children in total – three biological and four others they cared for. The youngest is four and the oldest is in high school. All are now orphans. Nayar had to break the news to audiences at the film’s three screenings. With the help of friends and colleagues, Nayar has now made it her mission to see that the Matanda children are able to complete their studies. The quality of education in Kenya is relatively poor, which is why Robert had been using his meagre farming income to pay for the children to attend higher-quality schools. In recent years, he had even decided to further his own education in order to become a better provider for his family. As of Tuesday morning, Nayar’s GoFundMe campaign has collected more than $12,000. The documentary, produced by the National Film Board of Canada, will have a theatrical release this fall.